If there's one thing at Southgate Lincoln we love more than the lineup of new vehicles in our Southgate showroom, it's the excitement we get out of helping Detroit, Taylor MI and Romulus MI drivers find their match. We take the time to explore the features that are important to you and our knowledgeable staff is here to answer all of your questions. But what would buying a new car be without a test drive first? Visit Southgate Lincoln where we'll get you out on the road to find a Lincoln vehicle perfectly suited to your needs. We'll help you find the car of your dreams from our stunning inventory of new new Lincoln models. Make it a point to stop by our Southgate showroom to test drive a new Lincoln MKZ, Lincoln MKC, Lincoln MKX, Lincoln Continental or Lincoln Navigator. You'll quickly learn that our new cars provide long-lasting dependability, exceptional performance and family focused comfort. 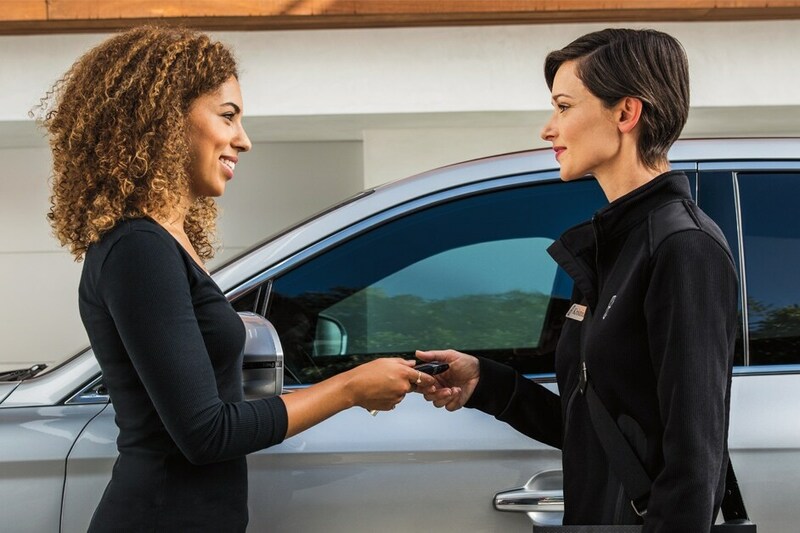 Naturally, all of our new Lincoln models are outfitted with a broad array of innovative safety and connectivity features to satisfy your daily driving needs! After helping you discover your next new Lincoln MKZ, Lincoln MKC, Lincoln MKX, Lincoln Continental or Lincoln Navigator, Southgate Lincoln doesn't simply disappear. We know that car loan and lease options can quickly become confusing, especially when you're not well-versed in the topic. That's when our Lincoln lease and loan experts jump into action; these financial gurus are available to answer any questions that you may have and help to guide you down the path to ownership! We know that the hard work has only just begun after you've signed on the dotted line. Our Lincoln service center is dedicated to keeping your car safely on Southgate roads for many years. Our staff of highly-skilled technicians always provide exceptional service by employing the latest technology and only using genuine parts and accessories. After all, there's no substitute for the real thing! But it isn't our new Lincoln lineup or even our many auto services that set Southgate Lincoln apart from the rest. It's our unequivocal commitment to the customers we serve from the Detroit, Taylor MI and Romulus MI area. At our dealership, we don't just want you to enjoy your new Lincoln MKZ, Lincoln MKC, Lincoln MKX, Lincoln Continental or Lincoln Navigator, we want you to enjoy the entire experience of buying it. Visit us at 16800 Fort St in Southgate, MI today and let us treat you right.